The company voluntary arrangement is a formal arrangement with the company’s creditors typically being paid over a 5 year period, repaying a fixed amount which is lower than the actual outstanding debt, which allows a business to continue to trade whilst repaying its debts at an agreed rate. If a company wishes to enter a Company Voluntary Arrangement it must first prepare a proposal and appoint a nominee (usually an Insolvency Practitioner) who reviews the proposal and recommends it to creditors and convenes a meeting of creditors to consider it. In practice, the directors will seek advice from an insolvency practitioner and if it is clear that a CVA is the best way to proceed, the Insolvency practitioner will help draft the proposal that is to be put to creditors and negotiate with them on the company’s behalf. In order for the Company Voluntary Arrangement to be implemented, the proposal must be approved by at least 75% of creditors eligible to vote at the meeting of creditors (a further vote requiring 50% of unconnected creditors to approve the proposals is also taken). It is possible for the company to seek court protection by way of a moratorium, or an Administration order, to protect the assets and the business while a CVA proposal is prepared. The rights of secured and preferential creditors cannot be altered by the proposal unless they consent to such arrangements. A bank retains the option to appoint a Administrator if it has a debenture giving it this option. Whether this option is pursued by a bank depends on the amount of the indebtedness outstanding to the bank and the value of the security, such as property that is available to give the Bank comfort. Where the Bank feels exposed, it will more often than not appoint a Administrator from one of the firms on it’s panel. Any modifications to the proposal made at the meeting of creditors have to be approved by both the creditors and the Company’s shareholders. Once implemented, all creditors served are bound by the CVA, the Nominee then becomes the Supervisor of the CVA. The Directors retain control of the Company and the Company continues to trade within the conditions agreed in the proposal. The Supervisor files a report of the meeting at Companies House; this will affect the credit rating of the Company. In addition, most suppliers will only supply on a pro-forma basis. Director’s have to be committed to the business for a CVA to succeed. In the event of the Company breaching the terms of the CVA, it is likely that the Supervisor will have a duty under the terms of the proposal. 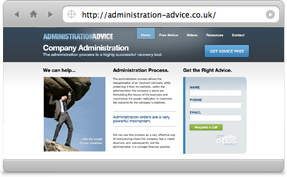 For more information on placing your company into Administration visit the CVA Advice website.The administration process allows the reorganisation of an insolvent company while protecting it from its creditors, within the administration the company’s plans are formulating the rescue of the business and maximising the assets realisation to maximise the outcome for the company’s creditors.